A semi carrying vehicles hit an underpass on southbound Interstate 57 near Cicero Avenue near suburban Oak Forest. 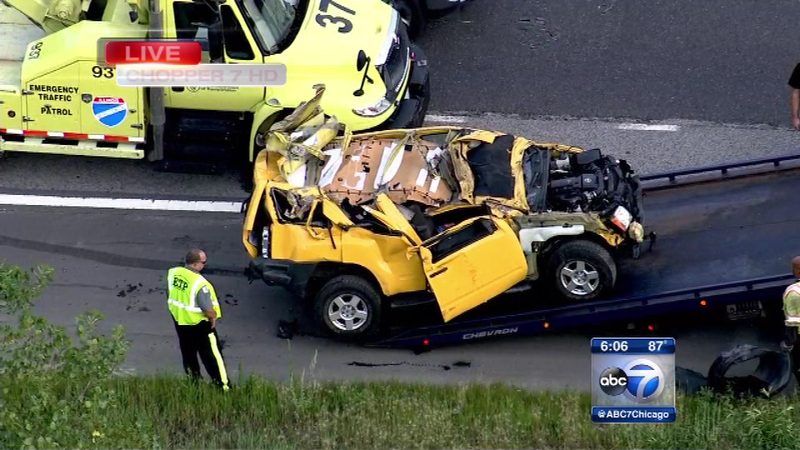 CHICAGO (WLS) -- Traffic was backed up for more than a mile during the Friday evening rush hour on southbound Interstate 57 near Cicero Avenue near south suburban Oak Forest. A car carrier semi truck struck an underpass with one of the cars on the truck, police said. One lane was closed while the vehicle and debris were removed from the far right lane of the interstate.